Next week’s Eko Nova concert at Kaneko, Step for Four: Rhythm in Motion, offers audiences an eclectic journey through musical styles and history, but not exactly in an arrangement that listeners might think of as typical chamber music. 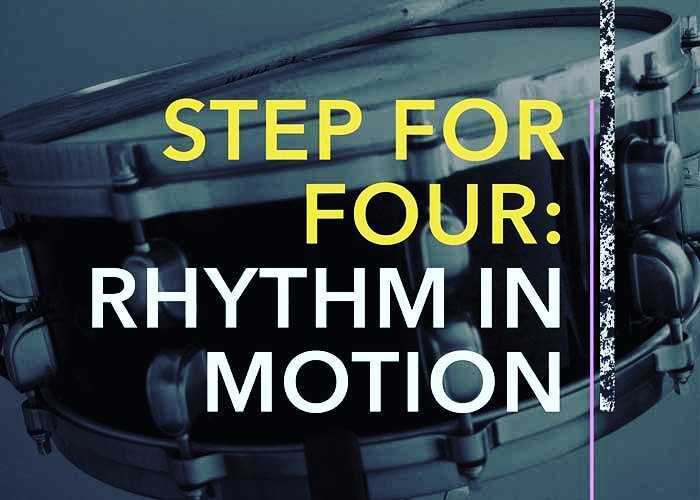 Inspired by Kaneko’s Kinetic exhibition, Step for Four is all about percussion and rhythm, spanning Afro Cuban drumming, jazz, electronic music and new music inspired by Prokofiev’s ballet. Step for Four examines percussion in different ways in that it presents both familiar and downright exotic instances of drumming. The folkloric Cuban piece, for example shows how a percussionist can manipulate the timbre of a very simple instrument by hand. Stranger pieces like “Left of the Dial” and “Long Distance” feature solo percussion accompanied by the sounds of radio transmissions and “phone phreaking,” a technique pioneered by early hackers using audible frequencies to exploit telephone systems of the 60s and 70s. Dreier also pays tribute jazz with his composition “Snap-Crackle,” inspired by jazz drummer Roy Haynes who is known for playing with Charlie Parker and Thelonius Monk. Step for Four: Rhythm in Motion will show at the Kaneko on Monday, October 23rd at 7:00pm. For more information, including a complete lineup of performers and pieces, or tickets, visit omahachambermusic.org.